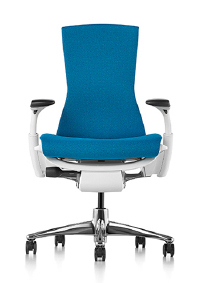 Ratio provides a modern, ergonomic workspace choice for the ever changing office environment. Within today’s workplaces we need to sit, stand and move to improve productivity and live a healthier lifestyle. 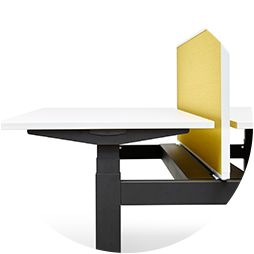 Ratio is a height adjustable desk to allow healthier working positions for all employees. Not only does standing increase blood flow and increase your metabolism, it can also burn calories. Sitting down for long periods of time increases unnecessary health risks so moving working positions is extremely beneficial. Finding the balance between sitting and standing not only makes us feel healthier it also allows for a better working environment. Collaborative working, team meetings and social time can all be achieved with the adaptable Ratio workspace. 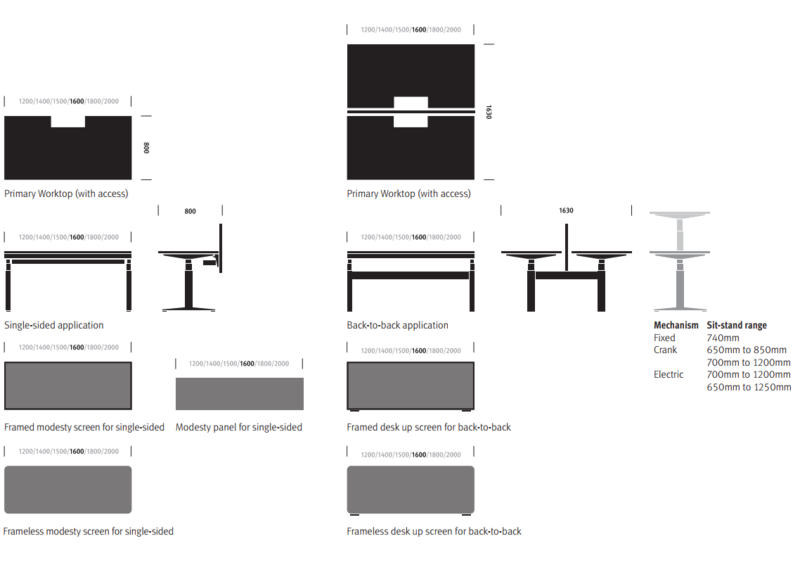 Ratio can be used as a single workspace or back-to-back desks creating unique clusters around any office environment. Ratio’s versatility also means ergonomic devices are used appropriately and supported efficiently. Monitor arms can be connected and the user can easily modify their screen positions depending on their own posture and seating position. 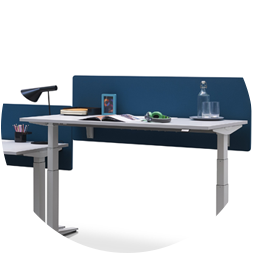 Ratio benefits from two types of electric height adjustment, with programmable pre-sets ideal for offices with assigned desks. 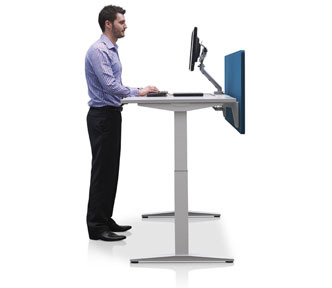 Employees can happily adjust their desks to their chosen height at a touch of a button. Ratio’s lightweight design allows it to be adaptable for a variety of office environments and decors. 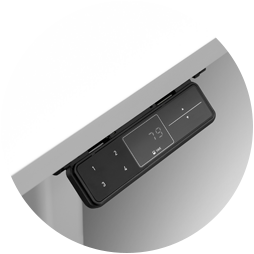 Its clean lightweight and minimalistic design enables Ratio to blend in, with a useful tray to hide any technology cables. Ratio is available with a screen for personalisation and can be used as an inspiration board. When Ratio is used at a standalone desk the screen can move up and down to give employees privacy if and when they may need it. 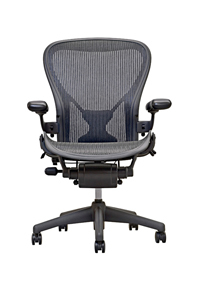 Herman Miller understands the need for supporting different seating positions, working positions and postures. It is necessary to encourage movement during working hours to allow employees to be productive, collaborate together and reduce health risks such as fatigue and back pain. Designers Robert Propst and George Nelson acknowledged the benefits of changing positions and posture throughout the day. 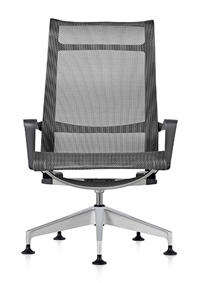 Ratio provides a workplace solution that not only looks sophisticated but is ergonomic. 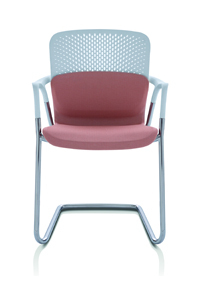 Ratio can be finished in a number of sophisticated and professional colours to enhance your workspace. 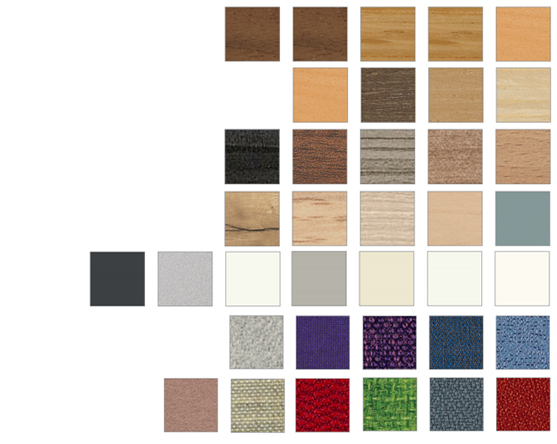 Both Melamine and Veneer finishes are available to suit your preferences with additional charge screen upholstery colours for that extra touch of personalisation. With more colour options than other designers, Herman Miller offers workspaces that can be unique to your office decor, workplace teams or particular employees style.